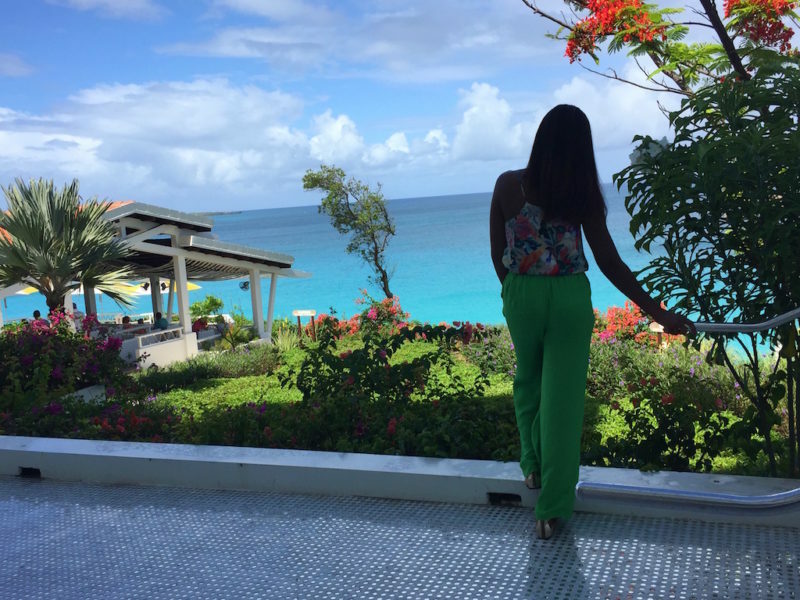 Growing up in Anguilla, I am no stranger to Malliouhana Resort. In fact, it was my usual cocktails spot whenever I was home. However, this is my first time visiting the resort since its makeover and 2014 reopening under the Auberge Resorts family. 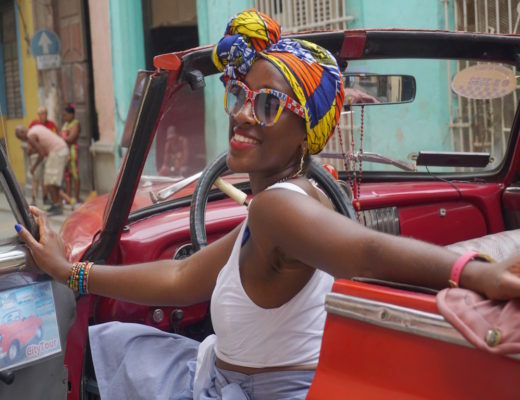 If it’s one thing that Auberge Resorts Collection gets right, it’s ambience! I say this as I reflect on my fabulous brunch experience at the scenic Auberge du Soleil in Napa Valley. The Restaurant at Malliouhana likewise offers the splendor and sophistication that often accompanies the “Auberge” name. Malliouhana’s restaurant is located on a cliff right above the water, so you have to walk trough the main area of the resort towards the back to get there. 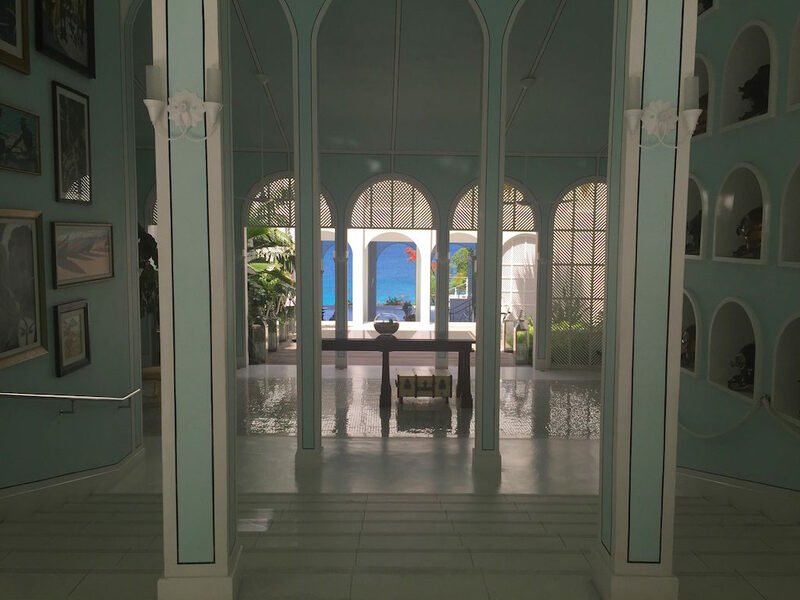 At the resort’s entrance a sea of vibrant shades of blue peeps from between rows of opulent white and green arcs, and you immediately know that something truly beautiful awaits you. At the end of the lobby area, to the left, and down a few steps lies the restaurant. The restaurant itself has a very simple but chic décor. It appears to be going for a nautical vibe with its white and blue striped fabrics and rope design accents. As we sat down at our table and was greeted with the menu, I was impressed by the selection of beverages. 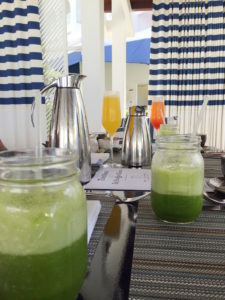 Malliouhana offers a variety of freshly squeezed tropical juices, smoothies, hot beverages, and green juices. 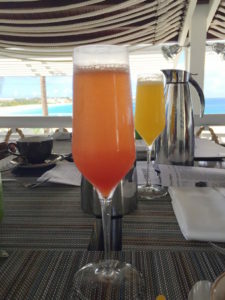 I ordered a cup of coffee to get me started, followed by a watermelon mimosa, which was a bit tart at first but when stirred was quite refreshing. Some of the others went the healthy route and ordered the Green Rocket Tonic: a mix of coconut water, arugula, green apple, cilantro and jalapeño. Those who love green juices really enjoyed it. I’ll have to take their word for it, as I am definitely not a member of the green juice-drinking club! To me, green juice equals unnecessary food torture. But… if that is your thing, go for it! The food options however were a bit more limited, but I would have to say that where the menu lacked in quantity it definitely made up for in quality. Amongst the five of us in my party, we covered most of the dishes and we all left super satisfied with plans to return in the future. 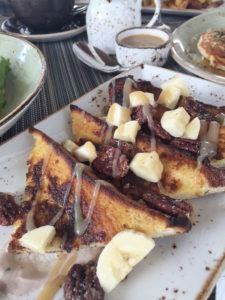 I personally ordered the Bourbon French Toast and Mushroom Frittata, but tasted all of the foods that we ordered. Most of the entrée selections are also offered as small plates; perfect for sampling multiple items and sharing. 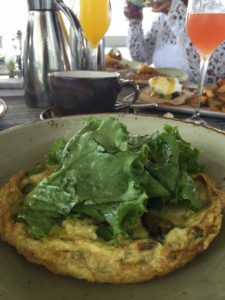 The frittata was a tasty and sizeable portion of eggs, mushrooms, camembert cheese, arugula and black truffle vinaigrette. The French toast was a tad too toasted for me; I prefer my French toast moist. Texture aside, I still enjoyed the flavor. The combination of the candied pecans, banana-maple, black cocoa and bourbon syrup worked well together. The extra bourbon syrup on the side was necessary. I mean… bourbon flavored anything is always a good idea, right? The Spiny Lobster Eggs Benedict was one of my favorites. In lieu of your traditional hollandaise, Malliouhana’s eggs benedict came coated in a jerk-spiced hollandaise sauce. 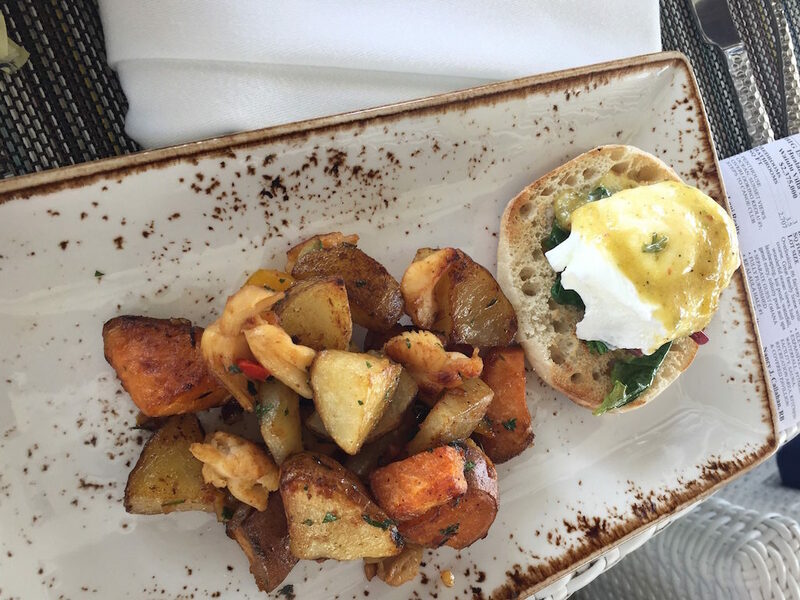 Roasted sweet and Yukon potatoes mixed with chunks of spiny lobster complemented the English muffin and poached egg duo perfectly. The highlight of our dining experience was the toasted coconut pancakes. It was a unanimous winner. A tropical fusion of coconut, spiced rum syrup, lime butter, roasted pineapple and basil, this dish was destined to please! I suppose the others predicted this as they each ordered a small plate. After my first bite from my cousin’s plate, I immediately regretted not adding pancakes to my personal order. Luckily there were enough pancakes to go around, and I steady stayed stealing pieces from my left and right. They were the kind of pancakes that make you wonder where they’ve been all your life, and why you’ve been wasting your life on mediocre pancakes. 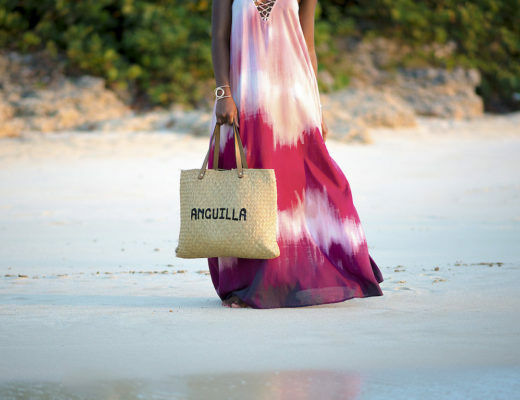 Apart from its unparalleled beaches, Anguilla is mostly known for its culinary magic. 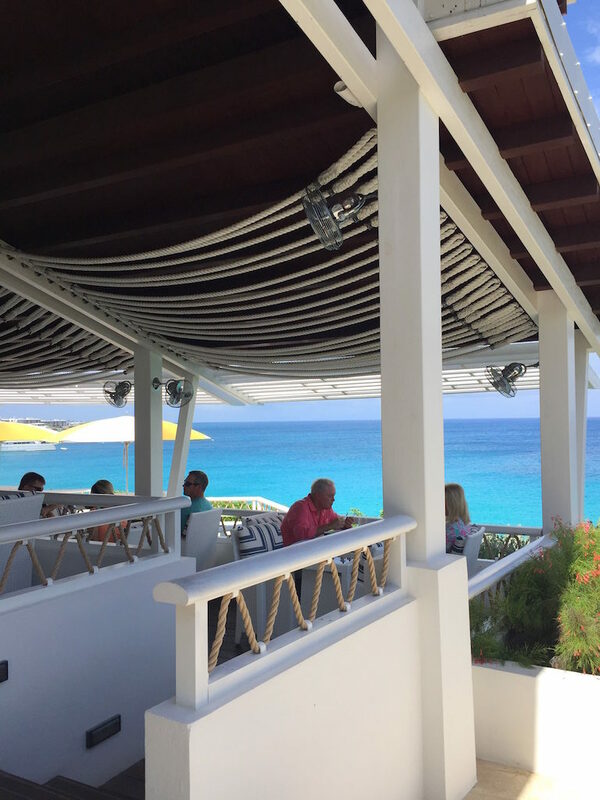 Malliouhana’s breakfast most definitely lived up to the hype created around Anguilla’s exceptional cuisine. I also found that the dishes were quite affordable, actually on par with many restaurants I frequent in Washington, D.C. that lack the grandeur of Auberge. 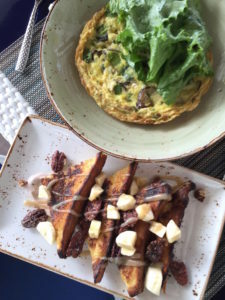 With entrée prices ranging from $15.00 to $21.00, and small plates from $8.00 to $11.00, the Restaurant at Malliouhana definitely offers a luxury breakfast experience at a great price. 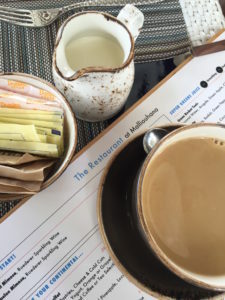 I am so jealous of my brunch companions who live in Anguilla and get to dine at Malliouhana whenever their hearts desire. I can’t wait for my next trip home to relive this wonderful experience. A well deserved A+. 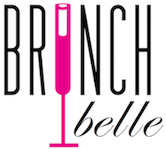 The Restaurant at Malliouhana is definitely Brunch Belle Approved! 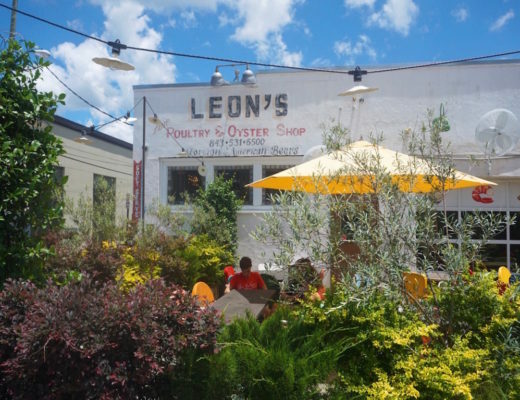 The food alone is delightful, but the views are certainly a bonus. 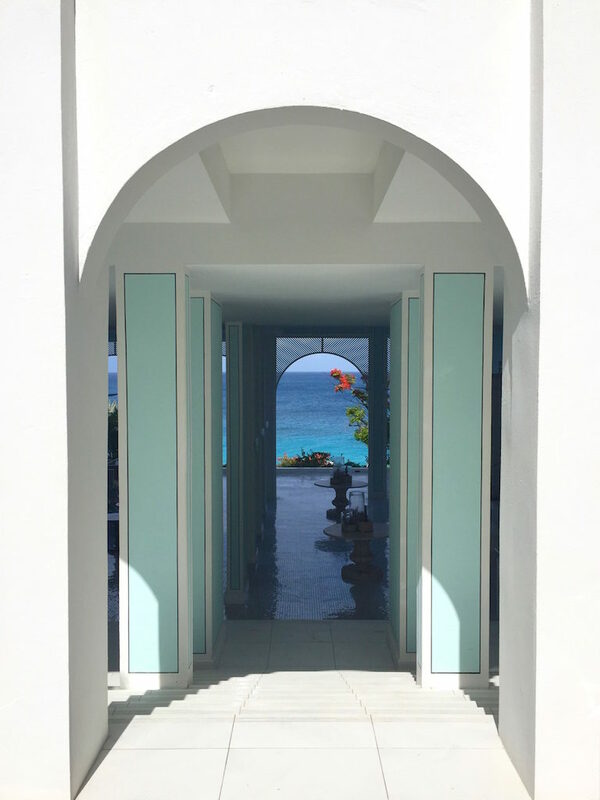 Malliouhana is an oceanfront luxury resort located on the Caribbean island of Anguilla, and is part of the Auberge Resorts Collection. 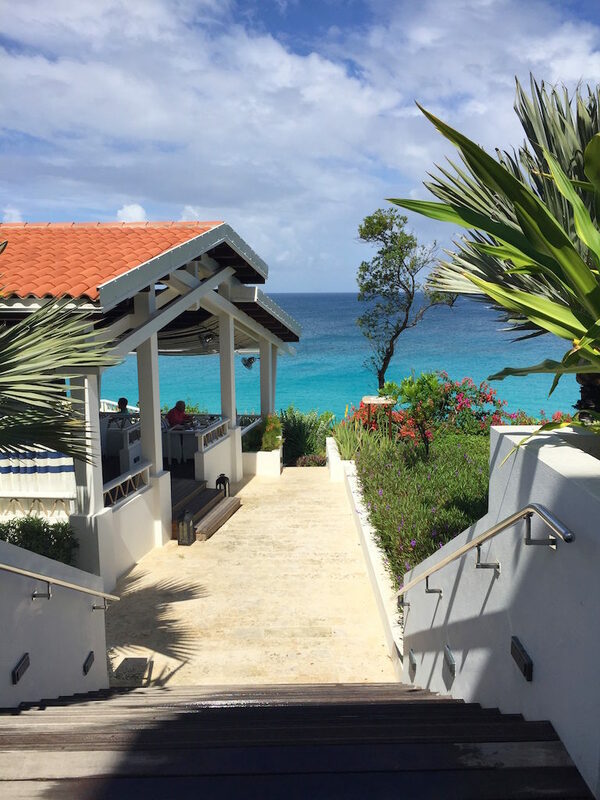 Beautifully described Khara, the pictures sure make me hungry and now as I live here in Anguilla I will be off to Malliouhana for breakfast shortly. Haha. I’m glad I inspired you to go. It’s definitely a good time. 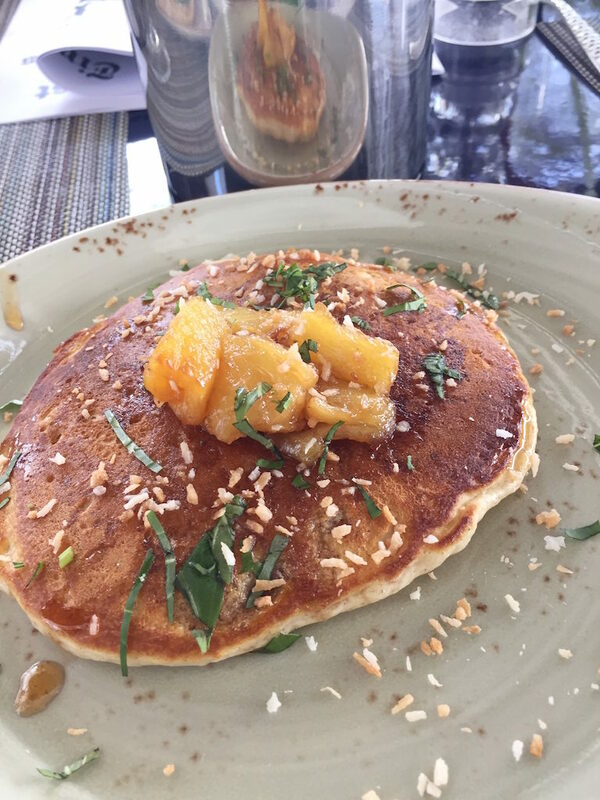 The coconut pancakes are a must ….delicious! !!! Ta I feel like I will be talking about these pancakes for years!!! The best pancakes of my life! And I’ve had ALOT of pancakes!!! Can’t wait to go back!